Make yourself at home in one of the 9 guestrooms. Wireless Internet access (surcharge) keeps you connected, and digital programming is available for your entertainment. Conveniences include coffee/tea makers, and both irons/ironing boards and rollaway/extra beds (surcharge) are available on request. Stay in one of 7 guestrooms featuring flat-screen televisions. Complimentary wireless Internet access keeps you connected, and digital programming is available for your entertainment. Private bathrooms with showers feature complimentary toiletries and hair dryers. Conveniences include desks and coffee/tea makers, and you can also request irons/ironing boards. The White Lodge Hotel is situated on a cliff with panoramic views of Filey Bay. It features 20 bedrooms, a bar, restaurant and lounge and is just a 5-minute walk to Filey Beach and a 10-minute stroll from the town centre. All the rooms are individually designed and include comfortable beds, flat-screen TVs, telephones, hairdryers and tea and coffee making facilities. En-suite bath and shower rooms have complimentary toiletries. There is a lift to all floors for easy access, and free Wi-Fi is available for guests. Guests can dine in the relaxed atmosphere of the White Lodge's restaurant overlooking Filey Bay. Dishes are prepared using locally sourced produce, including fresh salmon and sea trout caught in Filey Bay, crab, lobster and scallops from Scarborough, and quality meat from local Yorkshire farms. The peaceful town of Filey is situated between Scarborough and Bridlington. The area offers tennis, walking, and bowling. With free private parking, The White Lodge Hotel is just 2 minutes’ drive from Filey Golf Club. Filey Railway Station is 13 minutes’ walk away. With a stay at Esmae House in Filey, you'll be within a 10-minute walk of Filey Beach and West Avenue Pitch and Putt. This 4-star guesthouse is 8.4 mi (13.6 km) from Scarborough Spa and 9.1 mi (14.7 km) from Peasholm Park. With a stay at Wrangham House Hotel in Filey, you'll be within a 10-minute drive of Filey Beach and Filey Bird Garden and Animal Park. 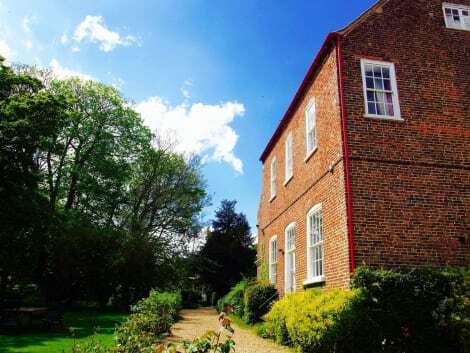 This bed & breakfast is 9.4 mi (15.1 km) from Scarborough Spa and 9.6 mi (15.5 km) from The Spa Bridlington. Perhaps the biggest draw for people visiting Filey is its gorgeous, wide sandy beach. But this relaxed little town has more to offer than great sea views and a pretty stretch of sand. Traditionally a fishing and farming village, Filey has captured the imagination of people for quite some time, with one 19th-century solicitor even designing a grand Royal Crescent to house the many tourists spending time in the town. While you're exploring the town, make sure to visit some of its lovely historic buildings and local hotspots. St. Oswald's is an impressive 12th-century parish church, and the Filey Museum is a charming little destination packed with information about Filey's local history. To enjoy the surrounding area, get out and explore the rolling hills or the beautiful coastline, make a trip to the Filey Bird Garden and Animal Park for a really fun day out, or even play a round of golf at the West Avenue Pitch and Putt course. Finding somewhere perfect to stay isn't hard in Filey. Filey hotels tend to be traditional and quaint, blending in perfectly with the area they belong to. Try the 5 Leys or the White Lodge Hotel to be close to the town centre, or the lovely Wrangham House Hotel. For places to dine, check out some of the local cafés like The Lighthouse Tearoom or the delightful Fairy Garden. For something more substantial, try Monsoon for Indian food, Downcliffe House for British cuisine, and for a real treat, visit the locally famous Sterchi's Chocolatiers. So for a fun and relaxing break, make sure to put Filey top of your list.